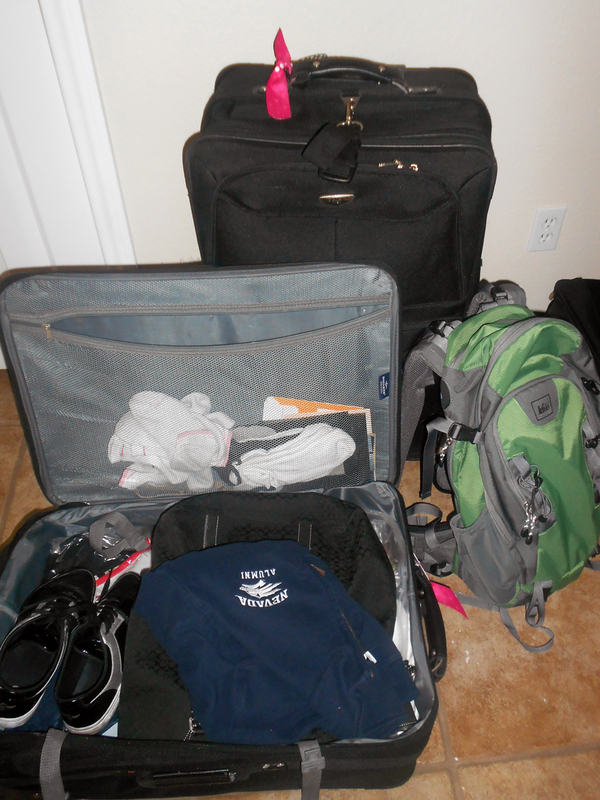 Countdown to Chile: All packed! - Little Country. Big Adventure. Home / 2012 / Countdown to Chile: All packed! Countdown to Chile: All packed! I leave for Santiago TOMORROW morning! I crammed what I could (clothes and shoes, basically) into two suitcases … just under the 50 pound weight limit at exactly 50 pounds and 47 pounds. Now that’s packing like a pro. I narrowed my shoe collection to seven pairs. OK, OK, I may have gone a little over board with the shoes. Other than that, I think I did a pretty good job at narrowing down everything. Despite all of his efforts to sneak into my suitcase, Clyde didn’t make it for the big trip. I’m getting a little nervous, but am mostly overwhelmed with excitement for this new adventure. Bad news: I am sick! I’ll be embarking on about 18 hours of traveling with a cough and stuffy sinuses. On a good note, the Benadryl I plan to take will probably knock me out for the 11-hour plane ride from Los Angeles to Santiago. P.S. This blog is about to get much more entertaining. Yipee. I wish you the best !!! Be safe !! You have been gone 12 hours exactly as I type this, and Clyde already thinks he can run wild. That little rascal better watch it or he’ll end up as rabbit stew!! How are you doing ? I hope all is going ok . We all will miss you lots when you get a chance post some pics for us .